PHUKET: New regulations governing yachts, introduced on December 26, have caused consternation and anger among yacht owners and skippers, and the island’s marinas. Gorgeous boats at Royal Phuket Marina. But how many will head for Langkawi, taking their money with them? Up until now, yachts were able to stay in Phuket for up to six months before the owner had to decide whether to take the boat out of Thai waters or import it (paying the taxes) and have it registered as a Thai boat. The new regulation requires that owners or skippers must “re-register” their boats every two months for a maximum total of six months – and pay a fee each time. Already many yacht owners are saying that if this regulation is enforced they will be pulling up their anchors and heading for somewhere more yacht-friendly such as Langkawi in Malaysia. Marinas, too, are aghast, fearing that they will lose as many as half of the boats currently using their facilities. The new regulations and the fees have not yet been defined, but a public meeting is due to be held on Wednesday at the Customs office in Phuket Town to explain how the system will work and what it will cost. The Phuket News understands, however, that the fee will be a sliding scale linked to the size of the boat. Any boat brought into Thai waters before December 26 will be “grandfathered” under the old rules, allowing boats to stay six months at a stretch, or until the skipper’s permit to stay expires. 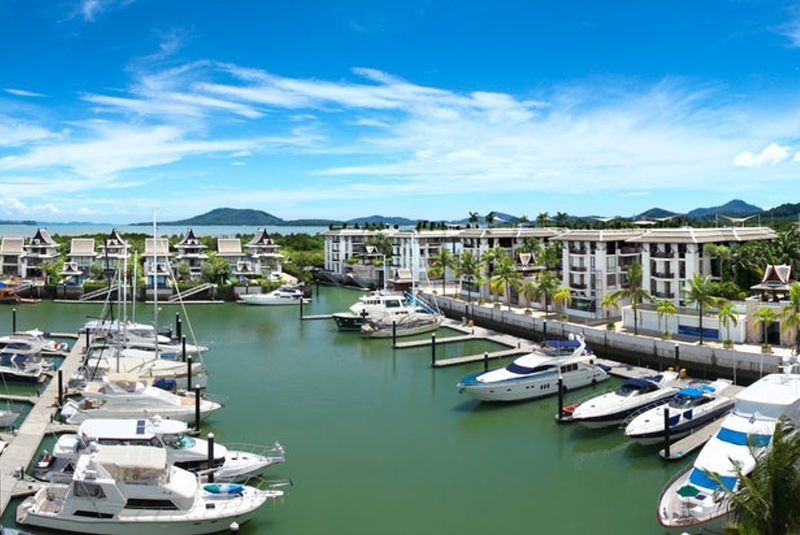 Mert Ulusoy, general manager of the Royal Phuket Marina, said that although the details have yet to be revealed officially, “We believe that this will provide a truly exceptional opportunity for marinas in Langkawi to increase their prices substantially and make extraordinary profits – unless the decision is reversed. The reasons for the new rules have yet to be explained, but Mr Ulusoy said, “I believe the Thai government officers are trying to get more boats to get Thai-flagged to allow them to control the boats in a way that they feel is more appropriate. A yacht owner, speaking on condition of anonymity, described the tightening of the rules as “absolutely crazy”. “One thing they [Thai officials] don’t seem to understand is how much money yachties, especially superyachts, bring into Thailand. “I pay mooring and electricity fees of B250,000 a year and another B60,000 to B70,000 a month for repairs and other work by Thai craftsmen. These, he pointed out, are the kind of sums the Thai economy stands to lose to Malaysia, multiplied by the number of boats in Phuket marinas that up-anchor and sail south out of Thai waters.